LokvaRogoznica is a small and charming village on the Croatian coast. The town is an ideal spot for a vacation in beautiful surroundings with easy access to beach and mountains. The house is located2 km from the local beach and 7 km from the larger townof Omis.From here, it is also possibleto visit the historic cities of Split (33 km) and Dubrovnik (200 km). Prices (Up to 6 adults): October – May: 550 € per week June – September 750 € per week Washing: 50Euro / Cleaning: 50 € Electricity/water: Acc.to usage. 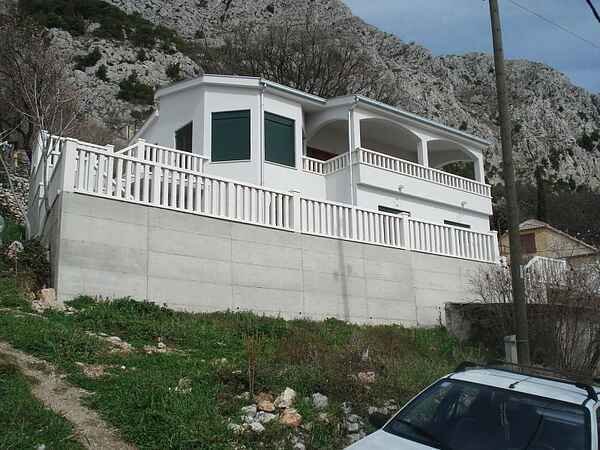 Newly build house in Lokva, Dalmatia 7 km from charming old Omis. Cetina River is the faboulous place for Rafting most the year(even for children). The house is located central at the mountain - which gives great opportunities for mountain walks and climbing. The wiev over the Mediterean Sea is just fabulous and relaxing. Friendly and quiet village at the mountain with helpful and caring neighbours.